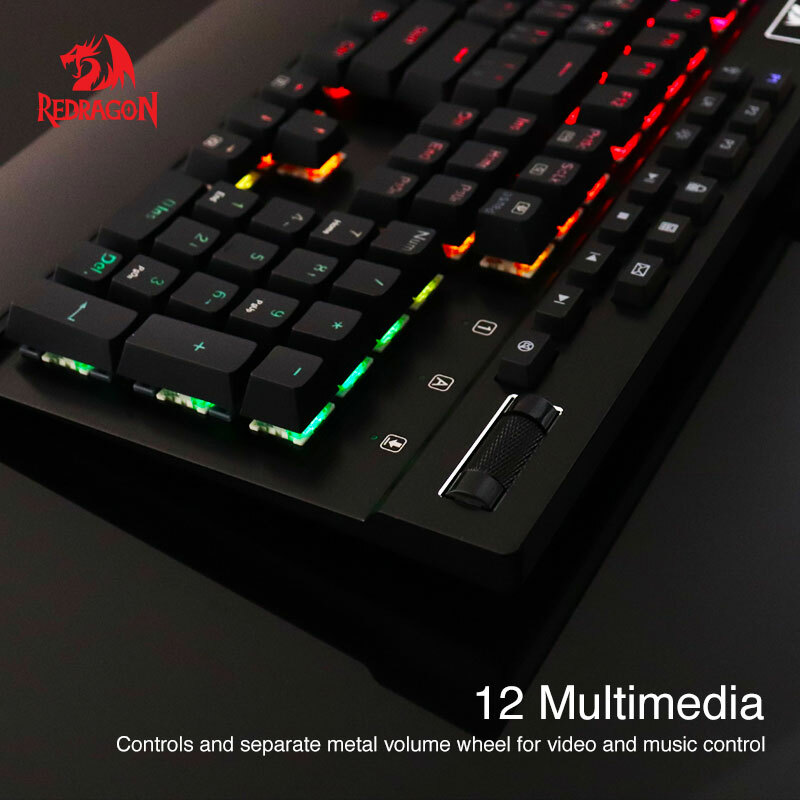 GAMING KEYBOARD BLACK; 104 Key Mechanical Gaming Keyboard with Custom Mechanical Switches designed for longevity with greater durability and responsiveness. 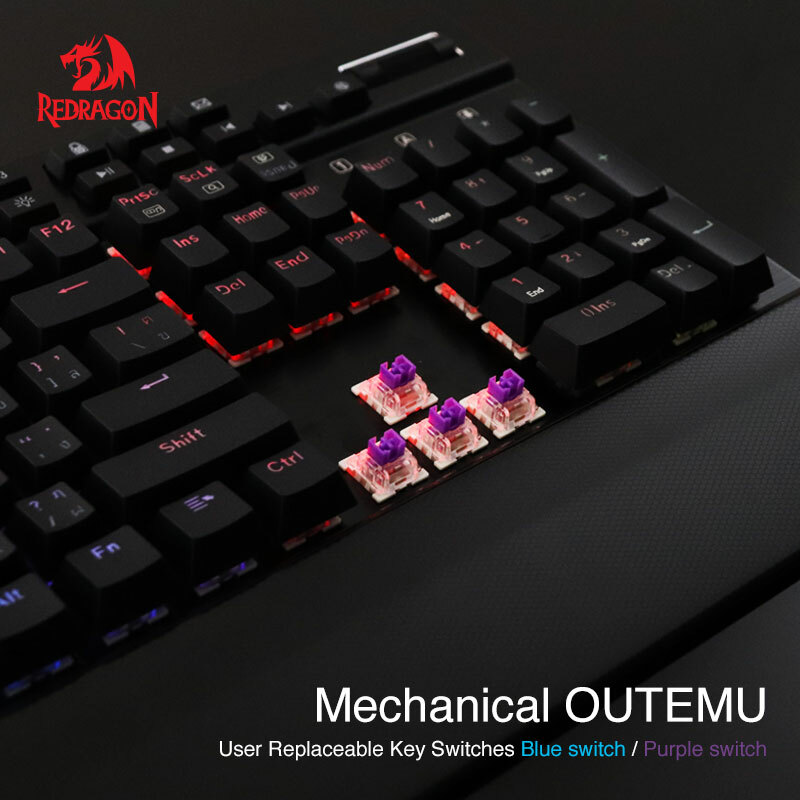 The Mechanical Keyboard Keys offer medium resistance, medium click sound, and crisp, precise tactile feedback. 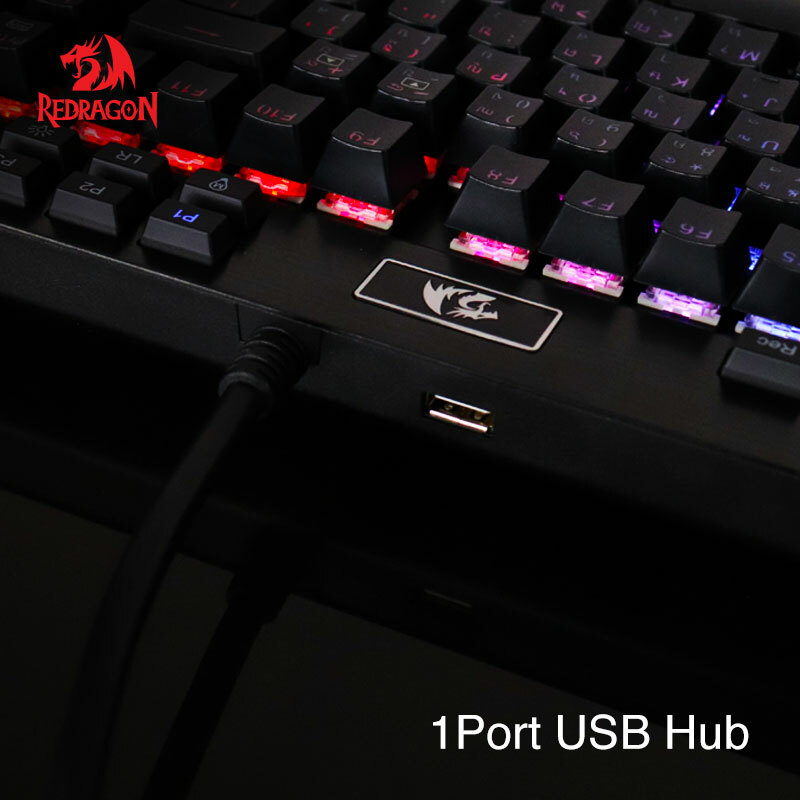 Ideal for both; ultimate Gaming performance andfor office environments, where a too loud clicky sound might annoy others. 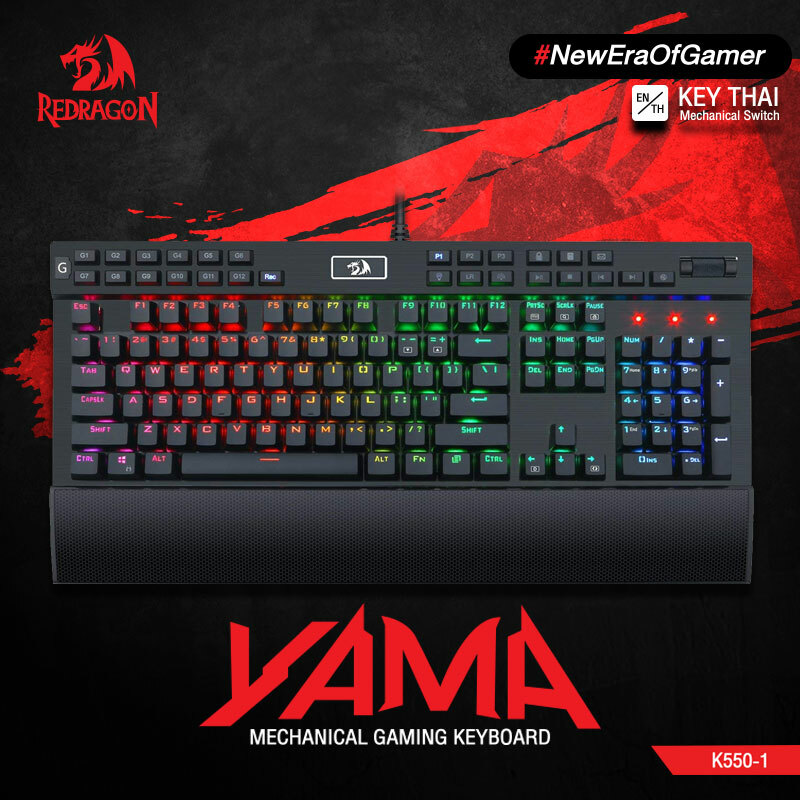 RGB MECHANICAL KEYBOARD; WITH 12Programmable MACRO KEYS; K550 Yama Redragon RGB Backlit Mechanical Gaming Keyboard, the RGB Led illuminated keyboard comes with Double-shot injection molded keycaps offering crystal clear uniform backlighting and lettering that doesn’t scratch off. 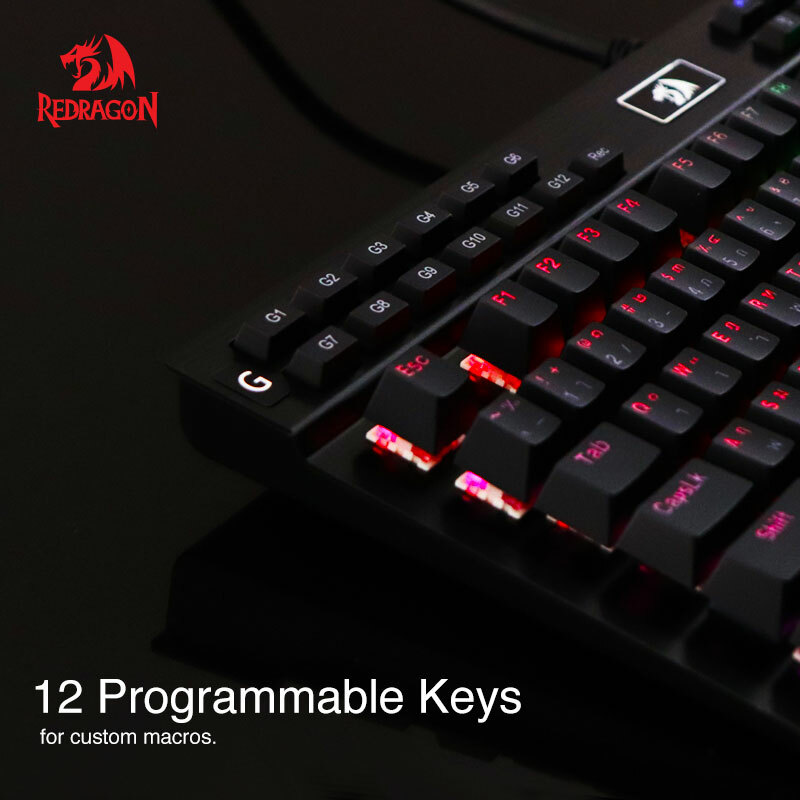 Featuring a Total of 18 Backlight Modes, 8 different colors, 5 backlight brightness levels, breathing speed, and 6 dedicated keys to program user defined backlighting. 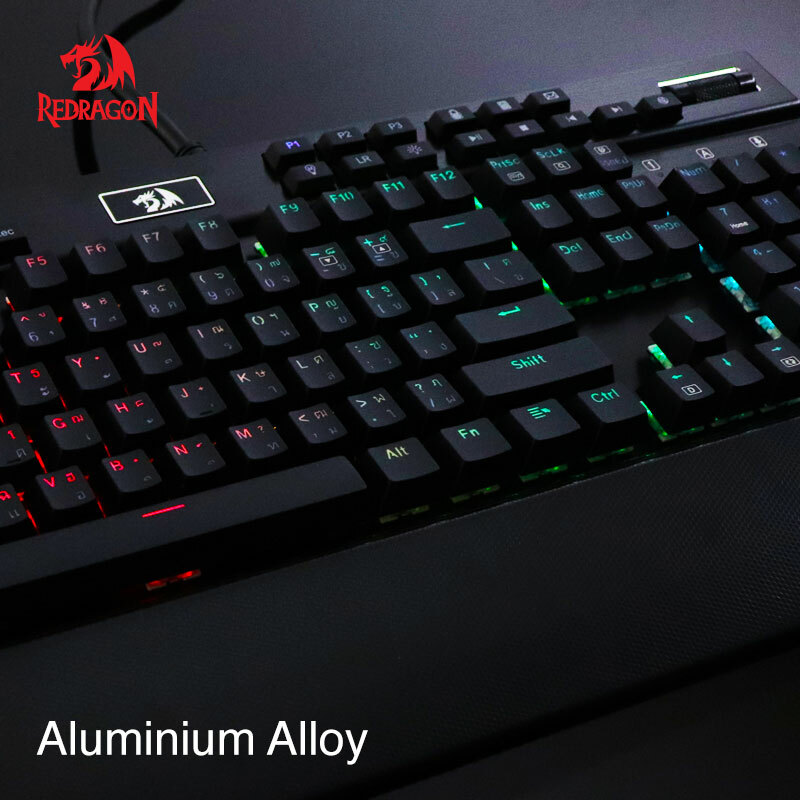 QUICK DETACHABLE WRIST REST AND SOLID BLACK ALUMINUM / ABS CONSTRUCTION; The PC Gaming keyboard is constructed of Aircraft-Grade Aluminum. 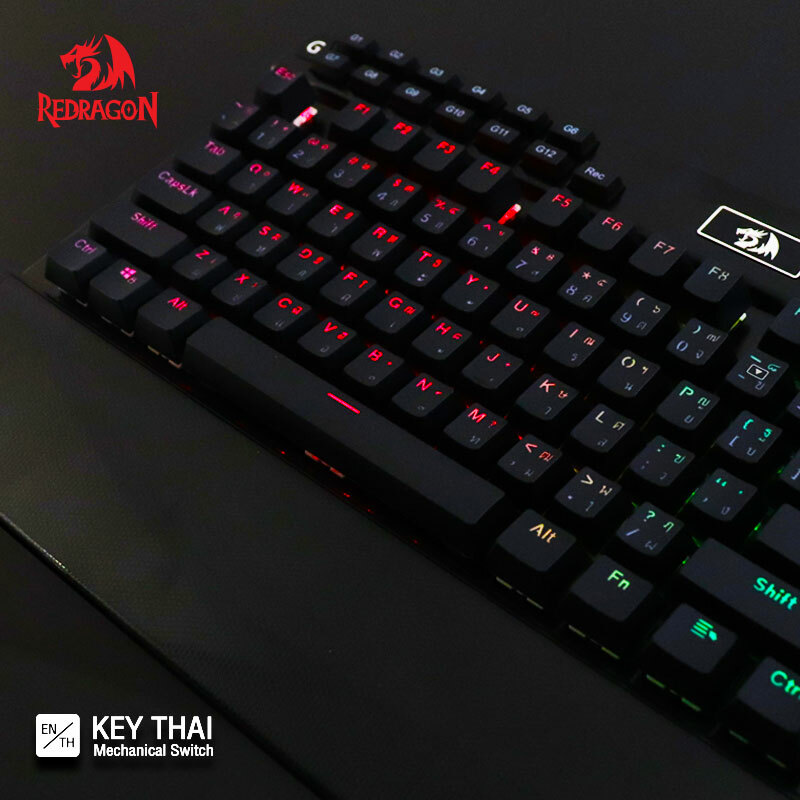 Plate-mounted mechanical keys and switches that stand up to tough gaming conditions. 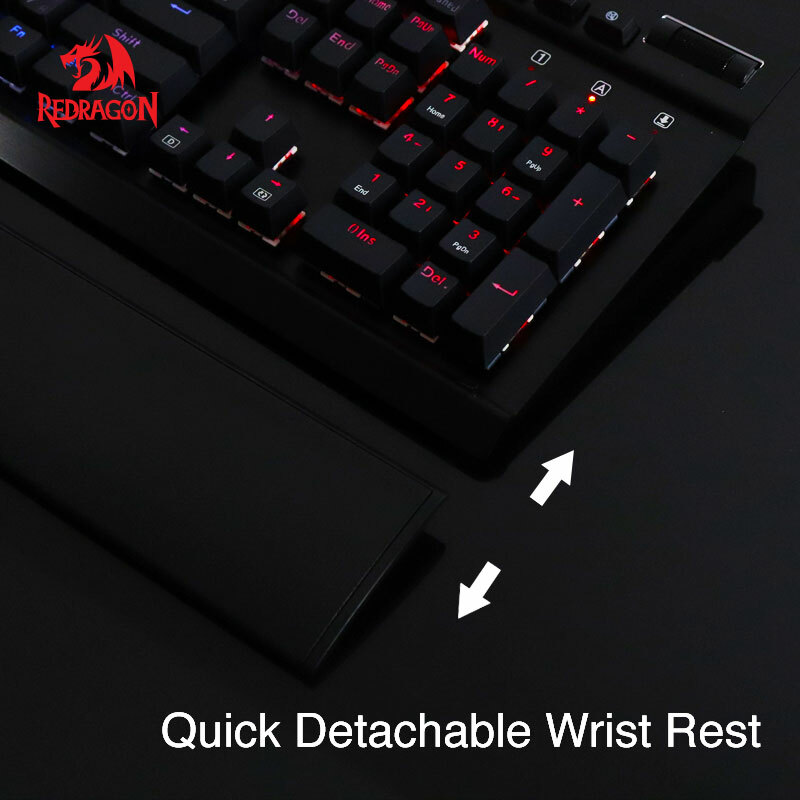 (The key switches are user replaceable)The detachable wrist rest gives you the comfort you need for marathon gaming sessions. 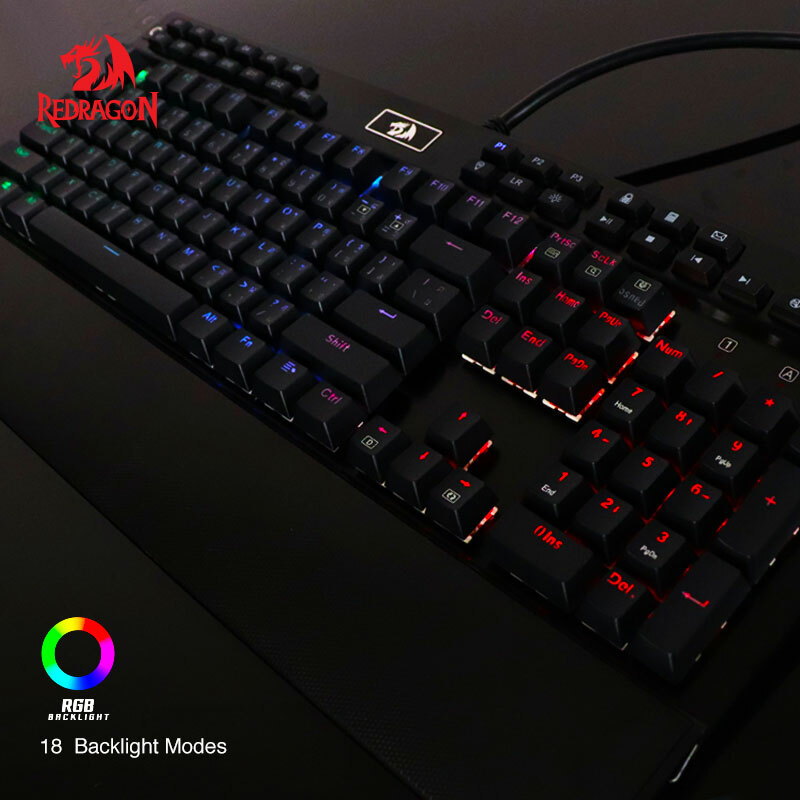 131 Double-shot injection molded keycaps RGB LED backlit keys for razor sharp lighting that doesn’t scratch off. 100% anti-ghosting. Built like a tank. 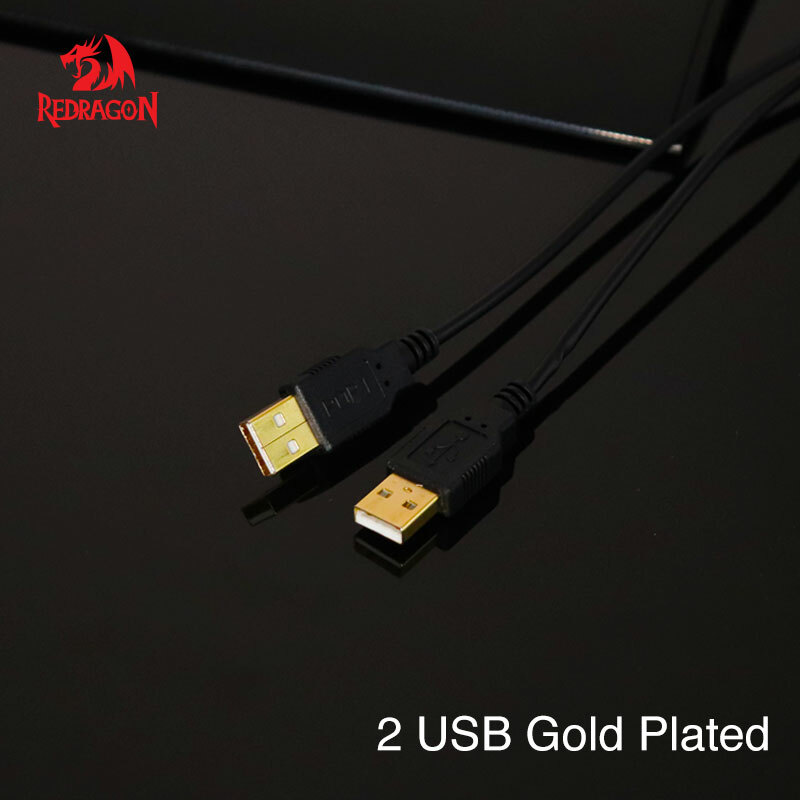 Over-engineered metal casing with USB passthrough port. 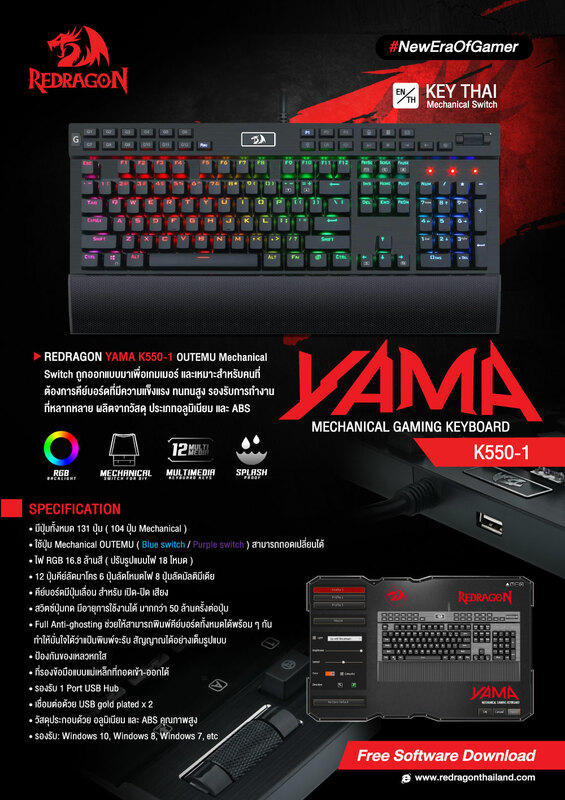 For Windows 10, Windows 8, Windows 7, Windows Vista, and Windows XP.